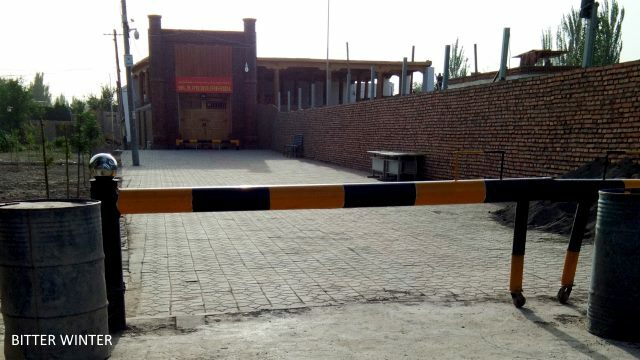 In Xinjiang, authorities are now meddling with Islamic architecture of mosques, implementing President Xi Jinping’s plan to “sinicize religions” in China. 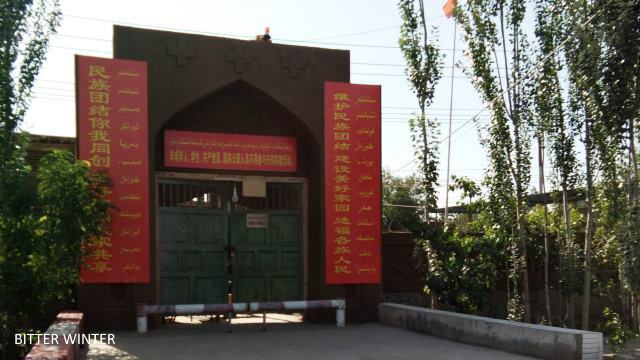 Chinese authorities have been remodeling mosques that still stand in Xinjiang. 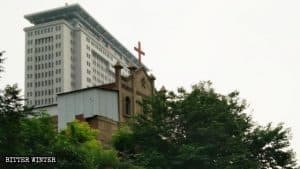 They might have evaded demolition somehow, but the authorities won’t leave a stone unturned to achieve CCP’s policy of “sinicization,” i.e., adapting religions to the needs of socialism and Communist Party. The mosque architecture usually involves domes on the top, with a crescent moon and star symbol on them. 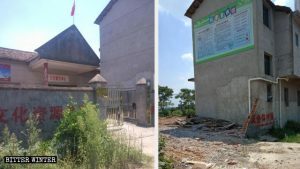 Features such as these were removed from a mosque in Shanshan county by local authorities. In addition to that, they put up a Chinese banner at its entrance. 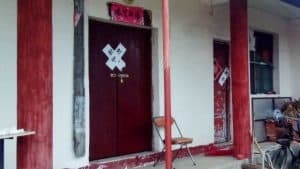 It read, “Minor, students, Communist Party members, and state officials are forbidden from participating in religious activities.” The building looks so ordinary now that without verifying with locals, no one can tell that it’s a mosque. 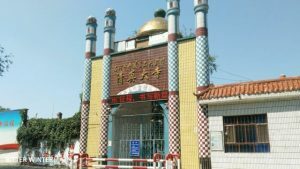 Four other mosques in Shanshan were remodeled in a similar manner. 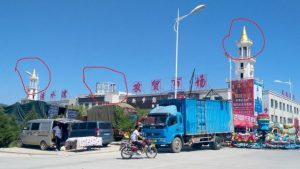 According to an inside source, the Chinese Communist Party held a meeting in Shaanxi last year to discuss mosque architecture. It was mentioned at one point that mosques from Southwest to the Northwest provinces were increasingly “Arabic” in style. 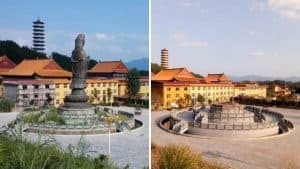 That was seen as contrary to what Xi Jinping’s plan for “sinicization of religion” wants in China. 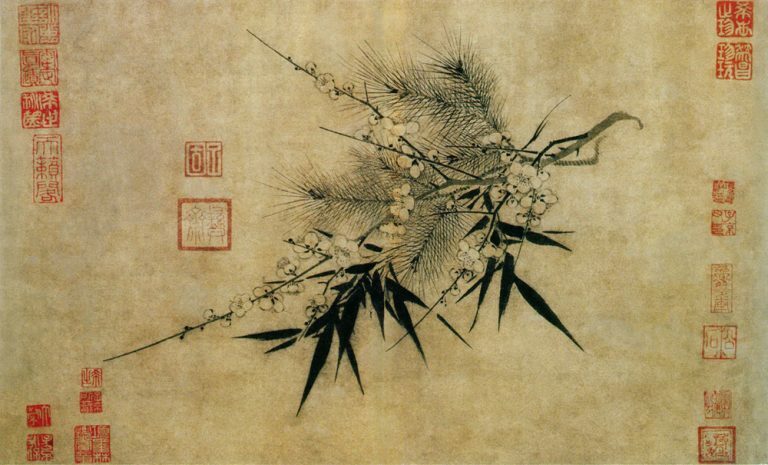 It was decided that mosques should embody Chinese style and be in harmony with the characteristics and traditions of China. 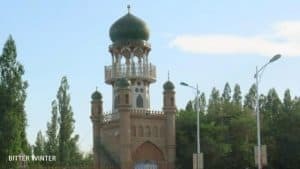 In March this year, the director of the China Islamic Association denounced mosques for having Islamized architecture. After that, the regulation movement for the reversal of “Arabic assimilation” was launched in Xinjiang and Ningxia. This is the Machang mosque from the west side of Dadonghu. 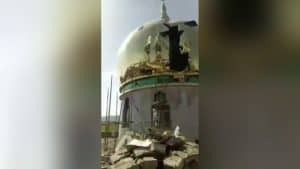 The architectural characteristics symbolizing Islam featured initially on the apexes of the mosque have already been torn down by the CCP, and now the structure has lost the appearance of an Islamic mosque. 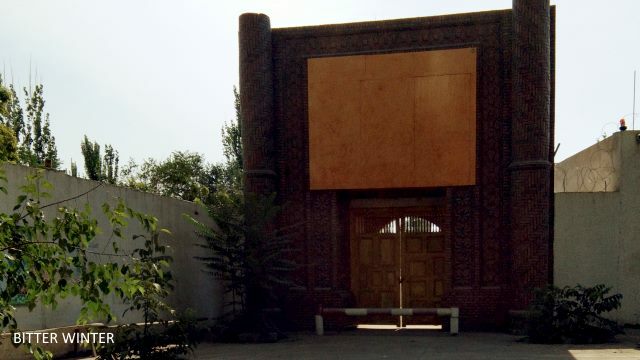 This mosque is located in Qiaoketang village behind the Xinloulan area of Shanshan county; the characteristic Islamic architectural features of the apexes of the mosque have been destroyed, and a large slab of wood is blocking it from the front. 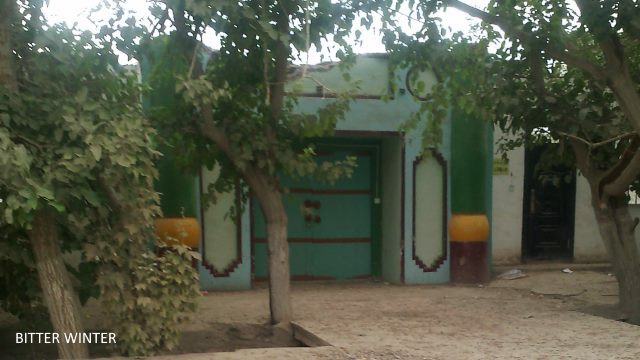 This is the mosque of the Fourth Group, Lukeqin town, Shanshan county, Turpan city; the apexes above the entrance have already been demolished. 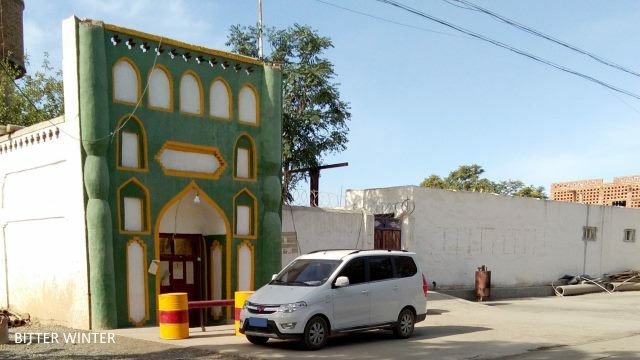 This is a back-street mosque in Lukeqin town, Shanshan county; one can see from the two ends of the apexes that their characteristic Islamic architectural features have been demolished.